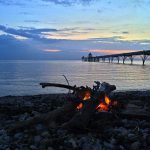 On October 10th 2017 I set up a fun and informal weekly swim meetup at Clevedon Marine Lake. Further down this page you'll find information on the benefits of outdoor swimming and some tips on what to bring if you've not been before. Please note you swim at your own risk. This is an informal friendly group and anyone is welcome. If you feel you need a bit of a boost this winter it could be just what you need. 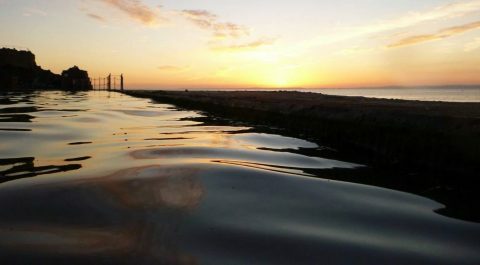 As you may be aware there is a lot of research on the many benefits of outdoor swimming, especially through the winter. There's a lot more information on this further down this page. Maybe you suffer from depression, low mood, SAD (Seasonal Affective Disorder) or anxiety? Maybe you just want to feel better about yourself and feel more confident? My aim is to motivate people to discover what the benefits of Outdoor Swimming are for them. Please note you must be confident swimming out of your depth. Also our meetups do not have anyone on standby, such as lifeguards, or anyone who is first aid trained. Be aware of what you are capable of and use common sense whilst having fun! Outdoor swimming and cold water swimming can be dangerous if you are unprepared. Read the below tips for winter swimming. Here are a few tips which helped me start and continue winter swimming. You just have to find out what works for you. Cake or something sweet to eat?! Try cold showers every day over a week, apparently this can help you acclimatise, just 2 minutes is enough! Try to focus on something positive as you enter the water, e.g. repeat something to yourself such as ‘I can do this’, ‘I am warm’?! Make sure you have no regrets! Dervla Murphy, a veteran travel writer, said that she never regretted going for a swim but often regretted not doing so. I completely relate to this and the following may help you understand why! I’ve been open water swimming without a wetsuit since October 2016. Initially I made a commitment to going at least once a week to try to build up to the cold winter temperatures. When I first started I couldn’t believe how lucky I was to be able to go to the Marine Lake in Clevedon and swim whenever I wanted. I’d thought about it for a good while but wasn’t sure. Then I met someone who was going in twice a week, joined the Clevedon Lake and Sea Swimmers Facebook group, watched the Dr Who Gave Up Drugs and read about all the benefits of cold water swimming. I became so inspired I just had to do it. Having completed my first winter of open water swimming I can honestly say I have loved every minute of it! Overall, it’s been such a great challenge it’s really made me realise that we are all capable of much more than we think. I’ve definitely been healthier with just one mild cold over the winter, whilst the rest of my family have had the usual multiple colds, which I was equally vulnerable to last year. I have felt more energised, resilient and stress free during the more challenging days of dealing with kids and other stressors during the dark winter days. It has been highly addictive, especially during the winter, to the point that I even swam when it was below freezing out and 3 degrees in the water. The social side and moral support is definitely paramount on such days though! Luckily you get to meet like minded people, which has had a massively positive effect. "I am addicted to that zing on your skin and what I can only describe as an acute sense of being alive, when all your senses are at their sharpest. It’s what my fellow outdoor swimmers call 'a dose of Dr Sea'... " Jan Etherington, January 2015. The surge of adrenalin and endorphin boost during and after swimming is like no other. My instinctive drive to experience this means I feel no fear of stepping into the water. It doesn’t matter what the temperature is. It’s just something I’m going to do and whilst doing it I know I’ll be in such a mindful state because there’s no room for anything else in my head. It’s so peaceful. It’s like active meditation, especially due to the rhythm of swimming. It’s just me and the water and unwanted thoughts are gone the instant I enter it. It puts things completely in perspective and puts a smile on my face and of course simple smiling has it’s own benefits. Afterwards I experience such a euphoric, hugely feel good, state. I feel alert and energised for the rest of the day. I have had days when I’ve felt I had a cold coming on and have gone for a swim and the symptoms just disappeared. I have had aches and pains that go away after swimming too. I used to go cycling, walking, swim at the local pool and do yoga at home. I thought I was someone who didn’t like the cold and didn’t like to get her hair wet but none of that matters when I’m open water swimming- it just feels so much better than any other exercise! Apart from sea bathing having historical roots it’s therapeutic benefits are recognised in many parts of the world. “Although it is one of those areas that is yet to be proven conclusively, it is a common belief in many cultures of the world that there are indeed therapeutic effects of immersion in cold water. 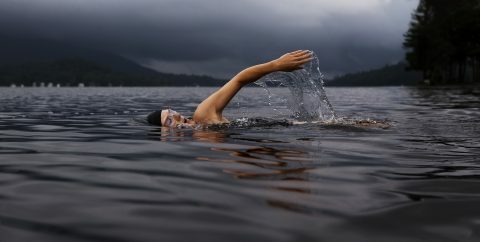 September 14, 2018 “A case study published in British Medical Journal Case Reports suggests open water swimming might help people with depression be able to give up their medication and live happier lives… The study is the first to examine open water therapy to treat depression….” There is more about this below and the 'Dr who gave up drugs'. Cold water swimming has certainly given me a natural high and become truly addictive. It sets me up for the day by giving an overall sense of wellbeing- one of calm and euphoria. This can be explained by the endorphins that are generated to help deal with the sting caused by the cold water. Endorphins are the bodies natural pain killers. ‘People say they feel great after a sea or river swim, which may be because the chilly water activates cold sensors all over our bodies — cells positioned just 0.18 millimetres under our skin — which in turn increase heart rate and give us that “alive” feeling,’ explains Michael Tipton, Professor of Human and Applied Physiology at Portsmouth University. One woman who swims five or six times a week even claims it helps her with a condition she has called Ehlers Danlos Syndrome (an inherited tissue disorder). “I am able to cope without any pain relief on the days I swim. Before winter swimming I was on morphine every day. It has literally changed my life,” she says (2). The parasympathetic system is responsible for rest and repair and can be activated by the cold. This can stimulate the release of dopamine and serotonin- the neurotransmitters that help make you happy 😊 Low levels of these are linked to depression. It’s no wonder open water swimming puts a smile on my face what with this and the cocktail of endorphins and adrenalin. Dr Mark Harper says “Currently, we are developing a trial which will use sea swimming as a treatment for depression. While the exact mechanism is unclear, there is growing evidence that inflammation is strongly linked with this condition” (3). There is a theory that repeated exposure to cold water improves your response to the stress that often accompanies depression. Through BBC One’s The Doctor Who Gave Up Drugs the theory was tested. One patient (Sarah) had been taking antidepressants for eight years but within four months she was off them and managing her symptoms with swims in a local lake. Dr Chris Van Tulleken wrote “we decided to offer an activity that would combine lots of the things that we know can help depression – exercise, mindfulness, and socialising: swimming. But in cold water in a lake. It sounds Victorian but there’s science behind this. There are many anecdotal accounts too. Andrew Fusek Peters has written a book about how taking dips in cold Shropshire waters has helped him battle serious depression. “Swimming is about feeling alive – whatever fear is in my head, as soon as I am in the water, it has gone, slam-splash-dunked. So although swimming alone didn’t save me from depression, it broke the pattern,” he says. In an article on the benefits of cold water swimming Alesia Hsiao wrote “Cold water swimming places stress on the body physically and mentally. Many studies have told us about the link between cold water and stress reduction. Cold water swimmers are naturally calmer and more relaxed. They are stronger in the face of adversity” (6). In addition Dr Mark Harper talks of how repeated immersion helps 'train’ our fight-or-flight response - the icy temperatures being several degrees below the tropical climes of our evolutionary origin - meaning that we might become better at coping with stress (5). “Getting into cold water evokes a form of stress response which is significant even at 20˚C. This response is recognisable (though, at colder temperatures, magnified) as our response to any stressful situation — increased heart rate and blood pressure, hyperventilation and the release of stress hormones. However, repeated immersions — as few as four — diminish this response. While we need to be able to react in this way to many situations, we want to avoid overreacting to the relatively minor threats (trains not running on time, Wi-Fi going down) modern society constantly throws at us. The process of cold water adaptation leads to a reduced, though not abolished, response to stress. Consequently, heart rate and blood pressure don’t go up as much and we can still control our breathing when we get in the water. Cold water swimming could therefore bring benefits to all of us by preventing our overreaction. Lynne Wallis wrote in the Mail Online that "sea water may also lessen the symptoms of hay fever such as a runny and itchy nose — the water acts like a ‘saline douche’, washing the nasal passages clear of the irritating pollens. People who live by and swim in the sea tend to have healthier respiratory systems, says Maureen Jenkins, director of clinical services with the charity Allergy UK." She also wrote about a Czech study which "found that people who immersed themselves in cold water three times a week experienced a significant increase in their white blood cell count — immune cells important for fighting off infection. The researchers put this down to cold water acting like a mild stressor, activating the immune system and giving it a workout" (1). Furthermore, Dr Mark Harper writes about cold water swimming being linked with 'fewer illnesses and less stress'. "In a collaboration with Portsmouth, Naomi Collier, a fellow Brighton swimmer, is undertaking a PhD looking at health benefits. Our first study showed that, compared to controls, sea swimmers seemed to have a lower incidence and severity of colds during winter". The website Paleo Leap states that "exposure (to cold water) just up to the point of adaptation and recovery actually bumps up your immune response: one study found that men who sat for 2 hours at 41 degrees Fahrenheit had higher levels of immune cells after the treatment. There are many other benefits, some of which are anecdotal. Even so I thought I'd just mention a few more in case they are of interest. Some people say they use cold water swimming to control the symptoms of arthritis and inflammatory bowel disease (Rob Starr, has published a book about his experiences with the latter). It may also find a role in ameliorating type-2 diabetes and even in reducing complications after surgery. Open water swimming is also believed to be detoxifying and can reduce the risk of a heart attack and improve circulation. There are other benefits too and a great deal more information out there- just 'Google' it! ... then cold water is concentrated magic, when all the pleasures and benefits of a longer swim get distilled down into a few short sharp minutes,” says regular open-water swimmer Jenny Landredth, whose book Swell: A Waterbiography is published by Bloomsbury in early 2017.